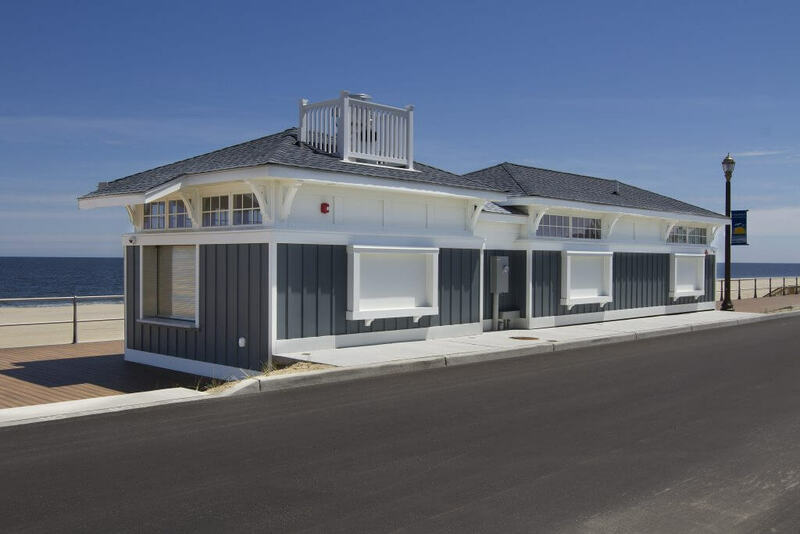 Long Branch Boardwalk - Sonnenfeld + Trocchia Architects, P. A. 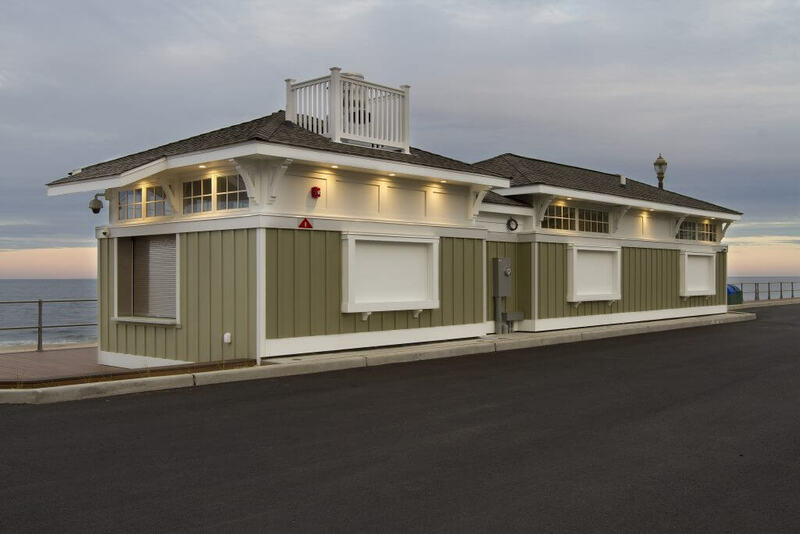 The City of Long Branch commissioned our services to design rest room/ concession facilities to replace buildings that were destroyed by Super Storm Sandy. Each structure is fitted between the beach front boulevard and the boardwalk. State governing agencies limited the area and height of the buildings; each is less than 1,000 square feet. Creative and efficient design allows each structure to contain multi-fixture rest rooms and concession areas. The accommodations are accessed year round by boardwalk strollers as well as beach goers. 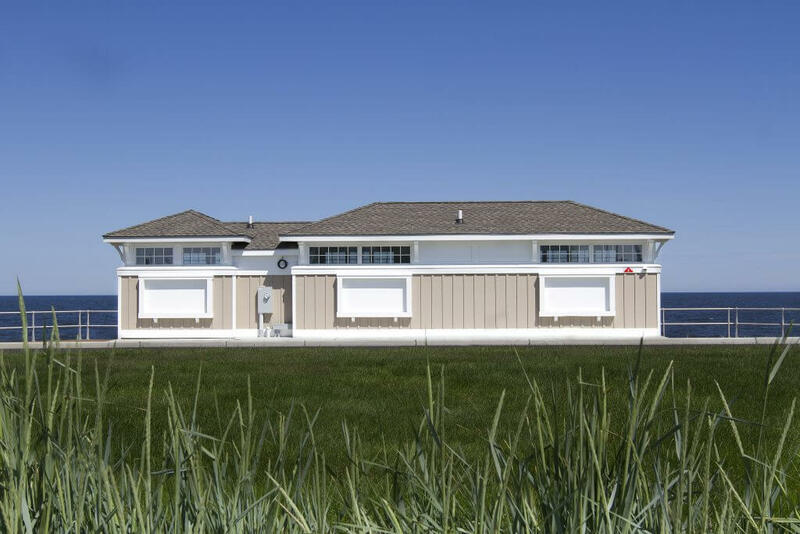 Although the structures are constructed of masonry block for maintenance and structural purposes, the exterior is clad with siding materials in harmony with the surrounding residential structures. Electrical energy is conserved by utilizing high clerestory glass allowing daylight in to the rest rooms while also providing privacy.